The perfect gift from little ones this Mothers Day! A lovely gift for new mums, baby showers, mothers day or for new arrivals. 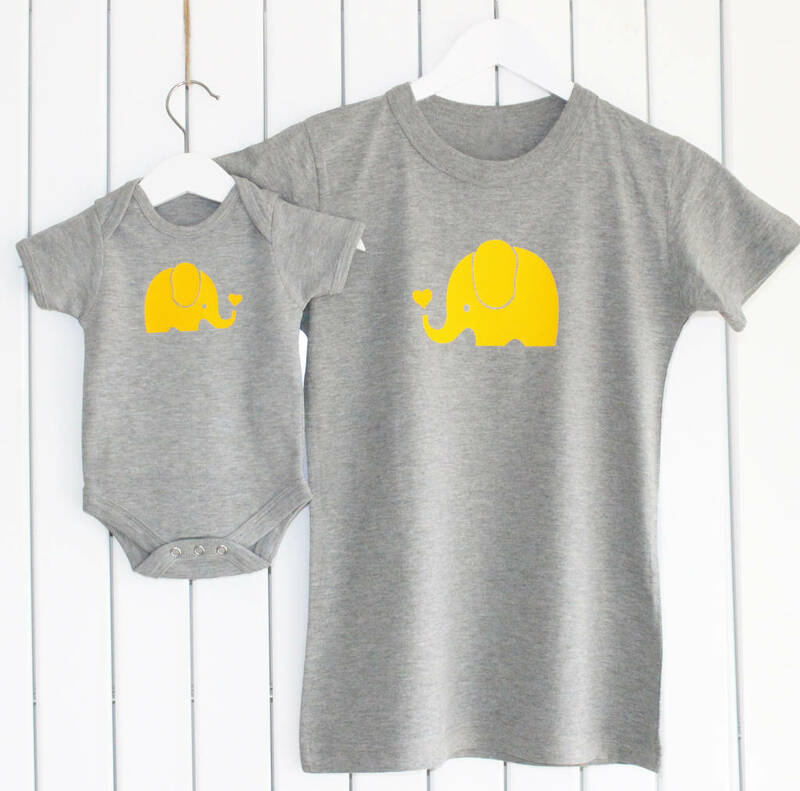 Our gorgeous matching T shirt set for mother and baby has an elephant printed on each t shirt facing each other with hearts from there trunks! A super cute first mother and baby set! T shirt and baby grows are Ash Grey with a variey of print colours available. T shirts and Baby grows are made from 100% ring-spun cotton. All of our clothing is sent to you in postal boxes to ensure they travel safely to your door, and only one postage charge will be applied at checkout when you order multiple items from PLP. Wash at 40 degrees or below, do not tumble dry, iron on reverse of print.